This book is particularly pertinent to those who are “getting along in years”, but it provides plenty of material for thought for those who are younger as well. From his perspective as a 93-year-old at the time the book was written, Graham speaks of facing the increasing limitations of age with a positive and productive attitude. 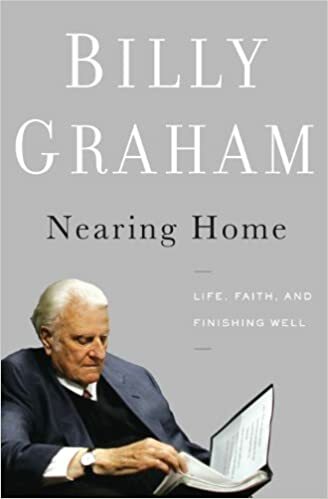 There is much common sense, biblical content and encouragement here as he discusses such topics as retirement, loss, physical and mental limitations, leaving a legacy, planning for one’s departure, handling grief and many others. Helpful book for those who do not want to waste their lives but stay strong to the end.